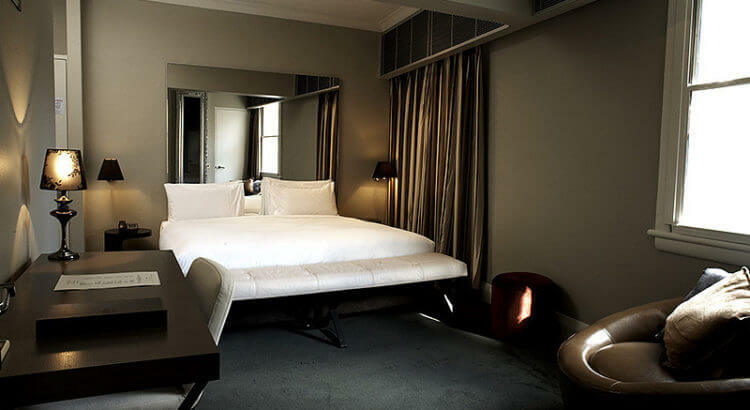 Kirketon Hotel is located in the heart of Darlinghurst – in the middle of gay Sydney. This 40 room boutique accommodation is positioned on the doorstep of Sydney’s cafe, restaurant and bar district and just a short distance to Oxford St, Kings Cross, Potts Point, Woolloomooloo and the Sydney CBD. Reminiscent of the great Parisian boutique hotels and the new wave of New York properties, the hotel is in a beautifully restored 2-storey heritage-listed building. It features one of Sydney’s coolest underground cocktail bars and showcases stunning design with contemporary elegance. Kirketon Hotel is renowned for discreet and personal service, with many of Sydney’s highlights at the doorstep. Sydney Opera House and Darling Harbour are within walking distance.